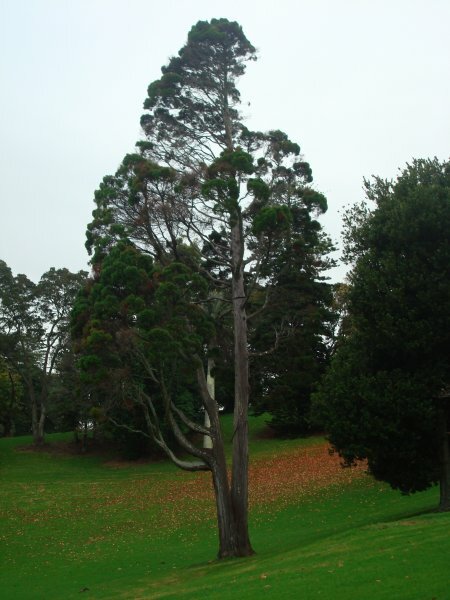 From eastern North America the Eastern red cedar, (Juniperus virginiana) is a relative rarity in Auckland. 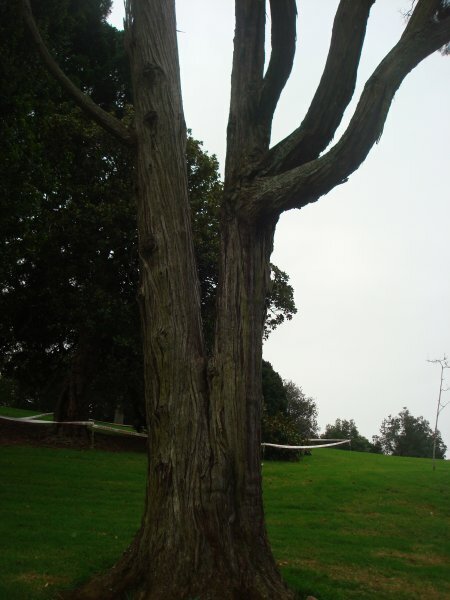 This tree is no longer in good condition as near half of the canopy appears to be dying (if not dead) and included bark continues to push the two stems apart all the way from ground level. Cobra dynamic bracing has been installed high in the crown, between the two main limbs in order to minimise the oscillations of the stems during wind events. Apparently several of these trees are growing at Monte Cecilia Park but this is the only one able to be located (VanWijngaarden, R. 2012). 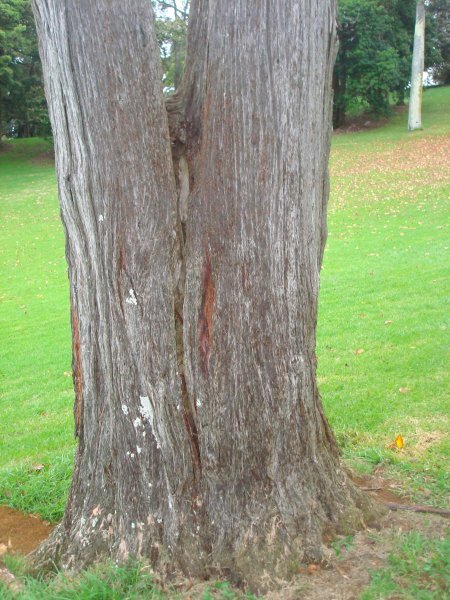 This tree appears to be in failing health with plenty of die back throughout the canopy and severely included stems (2012). Form is poor due to a bifurcated trunk to ground level. 12 Jun 2012 VanWijngaarden, R.
Located near to the friary section of the park.